Author: Daniel, R. P. & Grant, L. M.
Election! What a controversial subject! It seems to fascinate and repulse people at the same time! People always have had many personal ideas about election, often from taking a set of verses in isolation from all Scripture. We will look at free will, the terrible ruined condition of fallen man, the sufficiency of the work of Christ for all people, the doctrine of election from Scripture, wrong attitudes toward election, election in government, the relation between election, gospel preaching and God's pathway, and a number of other aspects. 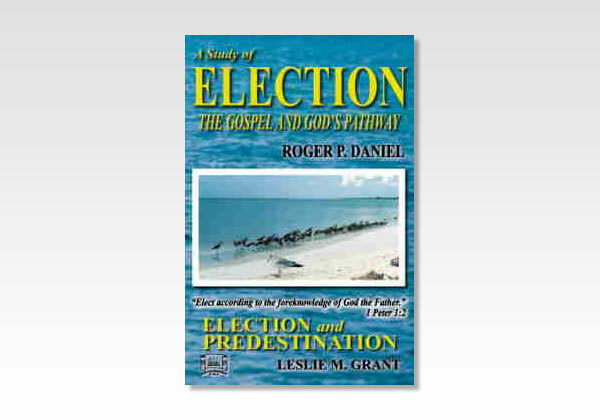 An article by Leslie M. Grant, Election and Predestination concludes the book.